Step 1: Prepare the Environment. iOS iOS 7.0 or later HTTP Port 80. TCP Port 8181. 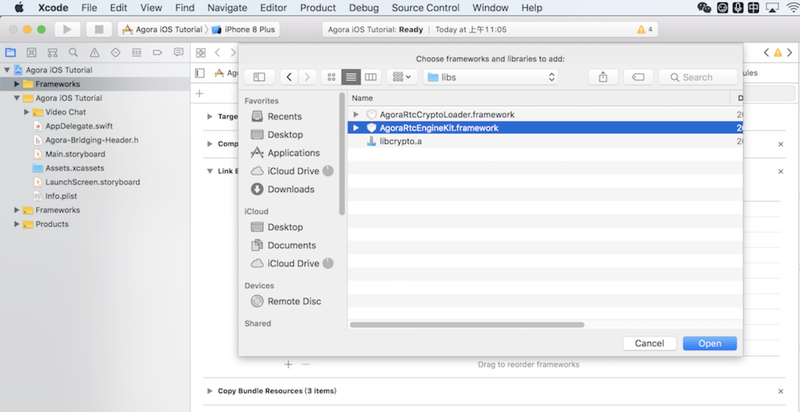 Step 2: Download the Agora Signaling SDK. Step 3: Unpack the downloaded SDK and save the files in the libs folder to the corresponding folder of your project. Step 4: Add the required framework. Step 6: Get an App ID and an App Certificate. Step 7: Generate a token.